Since 1878 a British roped off on the majestic Mont Maudit (4,345m), there has been no greater tragedy than that at 5 am last day. Perhaps they call it Cursed Mount, but I am sure it offers more glorious moments than bitter. 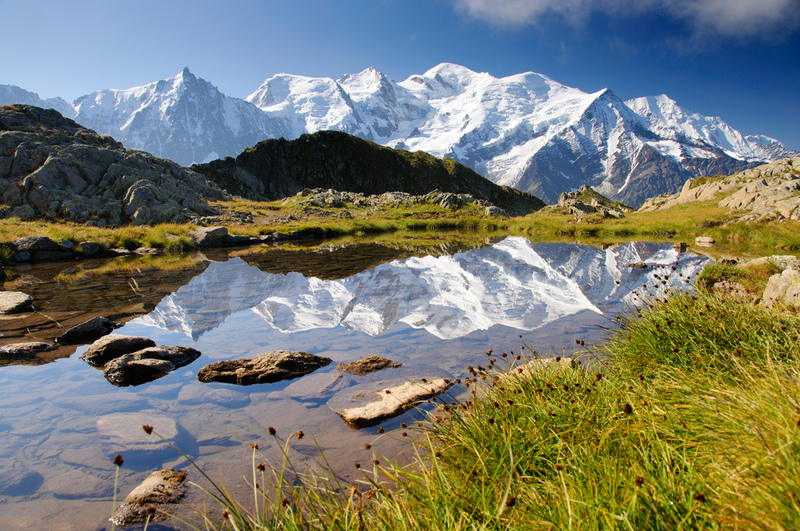 A large number of visitors each year approaching the Chamonix Valley can realize the magnitude of its mountains. The pleasure and freedom that it feels to be on its peaks engage in such a way that, unfortunately, the dangers go unnoticed. For several years now, there have been many French, Swiss and Italian guides who refuse to make the ascent to Mont Blanc (4,810m) along the four-way route. It is a very exposed area where the seracs look at you with so much security that they intimidate every step. Knowing the data of the deceased is easy to admit even professionals and mountain experts are not safe. We will never tire of telling my adventure buddies that confidence and lack of knowledge are the two main reasons why accidents recur in areas that are not recommended at all. It hurts a lot the loss of companions, we hope that people realize that the mountain gives you infinity of sensations, but it can take your life too. Caution, knowledge and common sense. See you at some peak. La naturaleza nos regala cosas hermosas, pero es tan impredecible, por eso hay que respetarla. Me gustaría hacer turismo en alguna montana, (segura claro). Un abrazo y gracias por compartir la información. Hasta pronto! HERMOSO pero MUY frío mejor dense una vuelta a Oaxaca. Hay actividades de ecoturismo para todos los gustos, rapel, montañismo, rafting y muchas mas. Tenemos muchas ganas de conocer México y más después de compartir un viaje por Laponia con un grupito de mexicanos excepcionales. Aunque hay que admitir que Chamonix y sus nieves eternas son un paraíso para el alma. Alpes ofrece miles de encantos en cada rincón.